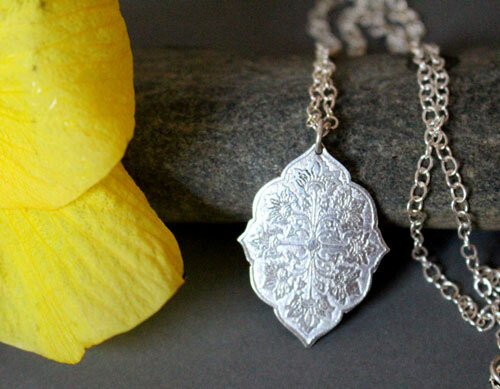 This beautiful necklace is made with an engraved pendant with a flower pattern in the shape of a cross. The length of the chain is 43 cm long. 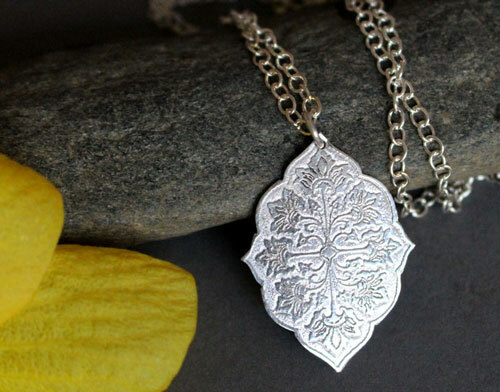 I named this pendant Flore or Flora in English which has a Latin origin and refers to the vegetal world. Flore was also the Roman goddess of flowers. 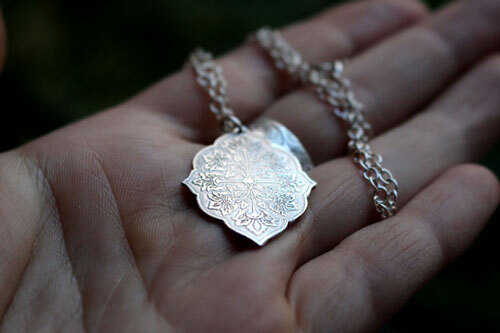 The engraved pattern represents flowers which were sketched in the shape of a cross, referring to the medieval and Christian style of the name. 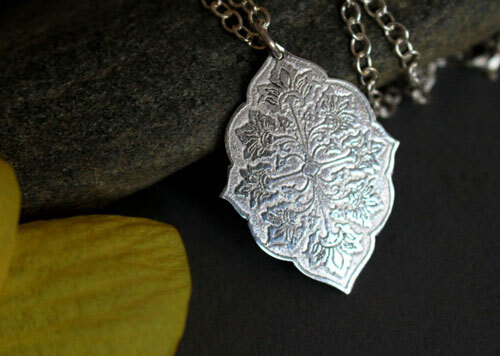 If you like flower pendant, it will be a beautiful piece around your neck. 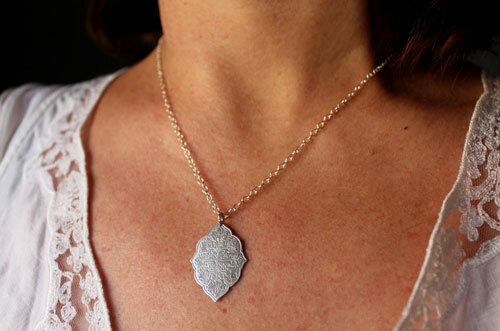 The pendant is 3 cm high. Tag: necklace, medieval, sterling silver, cross, flower, plant, fairy, Aubusson tapestry, sophisticated, botanical.